Perhaps the most impressive thing with a good piece of writing is when careful plotting brings together disparate pieces of information that the reader has absorbed (in this case over two previous books) to provide a lucid whole. 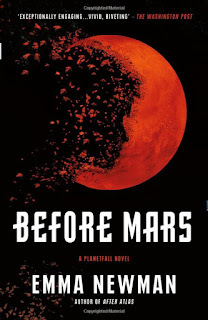 In Before Mars, Emma Newman powerfully combines a truly engaging mystery, based on a small Mars base, with the unfolding drama that took place on Earth in the previous novel After Atlas. While it's not essential to have read the earlier book first, it's highly recommended to do so. This gives the reader a strong sense of having an overview of what's happening in the background, where the characters don't - only to have the twist near the end of the book add satisfying complexity. As with the previous novels, Newman perhaps works a bit too hard at making her central character someone with personal difficulties, not helped by a distinct lack in places of 'show, don't tell' with page after page of internal monologue - some of which (particularly about not relating to her daughter) contributed nothing to the plotting. In the end, though, this doesn't matter. 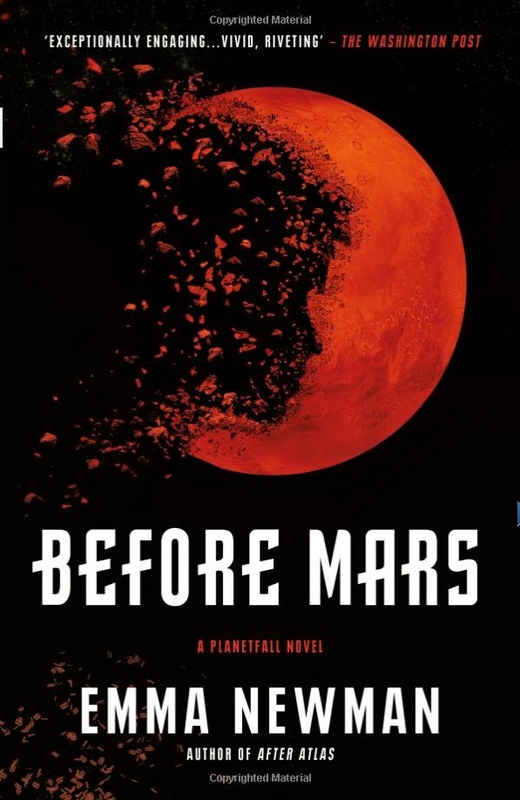 As it has several times before, Mars proves a great location for a tense, claustrophobic thriller - but the way this story weaves into the bigger Planetfall picture makes it far more than that. In her first three Planetfall books - it's hard to imagine there won't be more - Newman has proved herself utterly in control of a massive story arc. I just can't wait for what comes next.